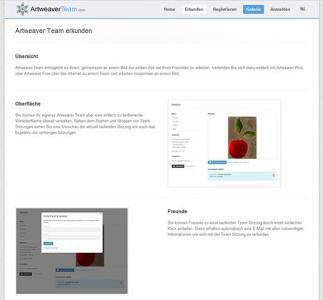 It was a little bit quiet the last weeks about Artweaver Team and its development. This doesn't mean that Artweaver Team is not further developed but just that we are very busy with the next version of it. 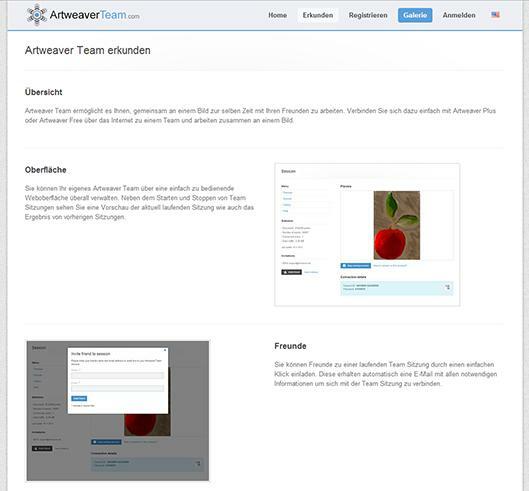 Expect soon a brand new version of Artweaver Team with improved usability, a more cleaner design and many other small changes / improvements. Please stay tuned and regularly visit Artweaver Team and this blog to keep updated. Artweaver provides since many versions useful commands to create custom presets directly in the application and to use them immediately. After you have created your own presets you can also export and share them with other Artweaver users. How to capture Imagestamp presets? How to capture paper presets? How to capture gradient presets? How to create Custom Shape presets? An update for Artweaver Free and Plus 4 to version 4.0.4 is now available. You will get this update automatically over the Artweaver self update feature the next days. An update for Artweaver Free and Plus 4 to version 4.0.3 is now available. You will get this update automatically over the Artweaver self update feature the next days. Some Artweaver users are asking for a portable version of Artweaver and the answer if there exists such a version is No and Yes! No means that you cannot directly download a portable version of Artweaver from the Artweaver website but Yes means that you can make an existing Artweaver installation portable. Doing this only requires some steps which are detailed described in the How to make Artweaver portable KB article on the Artweaver help website.